After leaving the Sea of Galilee, we visited Jerusalem – it is a wonderful city. 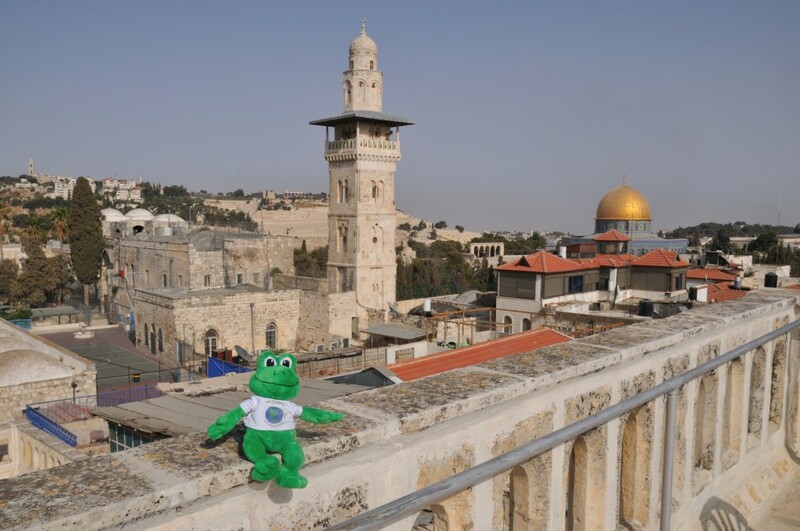 Many religions are worshiped there – Judaism, Christianity and Islam – and it was interesting to see the different people who visited the city to pray and worship. We visited the Israel Museum and it is famous for hosting the Dead Sea Scrolls. Shane told me that there were 972 scrolls found and they are 2000 years old. They were discovered in 1947 by a local Bedouin boy – I think it is funny that a boy discovered them and not educated men! The scrolls were written in Hebrew, Aramaic and Greek and detailed Jewish history and life at the time. Shane was not allowed to take photos of the scrolls, but he took a photo of me in front of a huge model of the Second Temple of Jerusalem in 66 CE. The model was almost frog size so I hopped around it for a while and I enjoyed myself a lot! I think this model is perfect for many families of tadpoles. After a few days in Jerusalem, we left the city and travelled to the Dead Sea area. 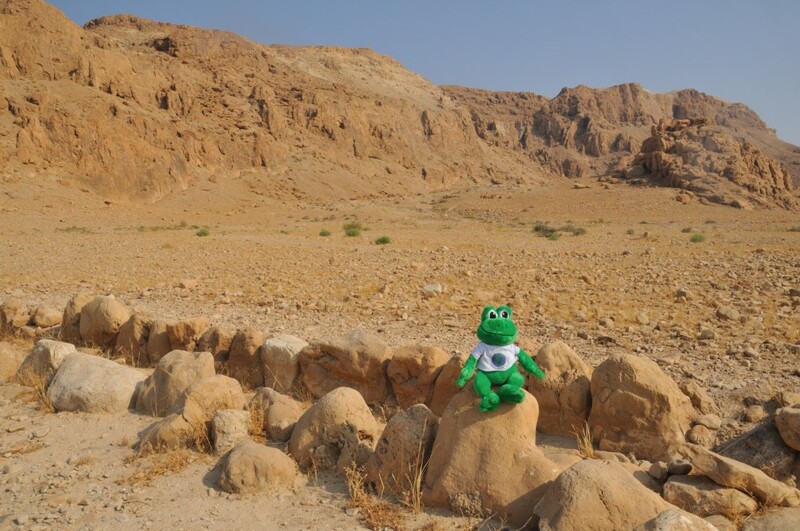 The first stop was to Qumran, to see where the Dead Sea Scrolls were found. It was very dry. The next stop was Masada, Shane told me that it was the site of the famous siege in 73 CE. When the Romans soldiers finally entered Masada, they discovered that almost all of the 1000 Jews had chosen to die rather than be taken prisoner. 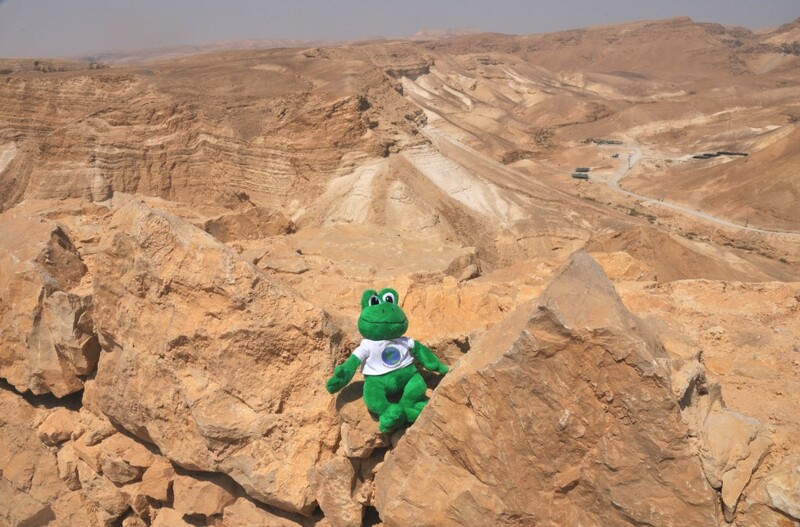 Masada was very high above the Dead Sea, and it was a little scary for a frog to be so high. Masada is very high - I was a little scared I might fall off! 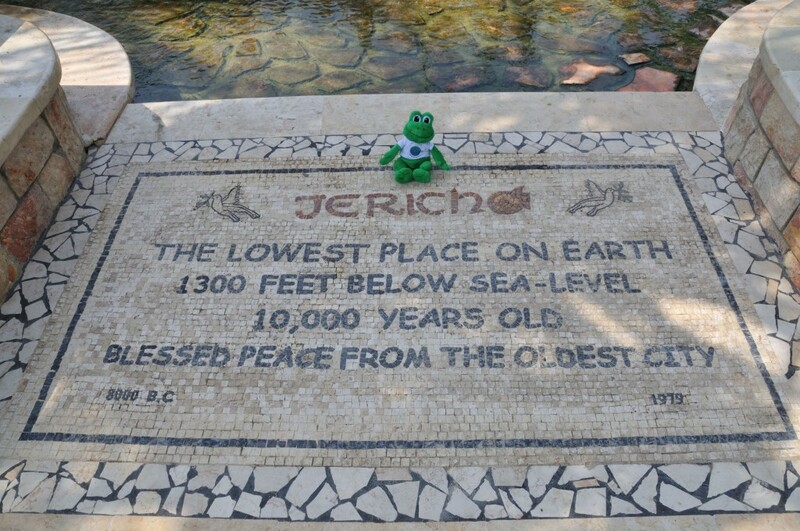 The final stop was Jericho in the Palestinian West Bank part of Israel. 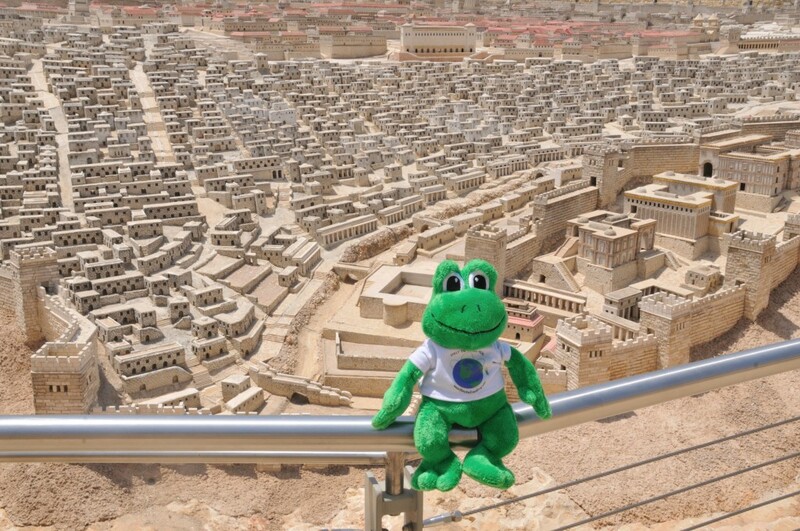 The city is 10,000 years old, and it almost 400 metres below sea level. We saw ruins of buildings that were 10,000 years old – they did not look like buildings now, but it was still good to see. Because it was below sea level, the sun felt even hotter. I didn’t feel good here because it was so hot, but Shane poured water over me and I felt better. 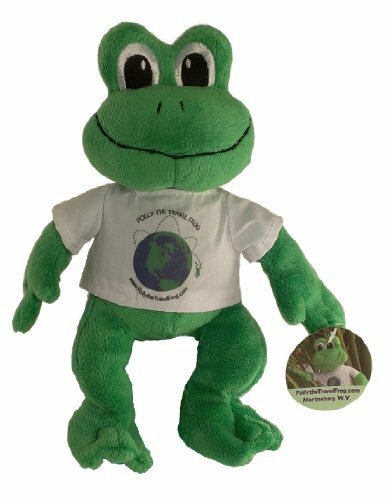 I liked travelling through this country, for though I am only a little frog, I was able to learn many big ideas. I now know more about religion and history. When we left the country at the airport, Shane had everything in his bags searched, and I was even held by a lady who waved a hand scanner around me to see if I was carrying any explosives! Thanks for all of the interesting facts. I guess I wasn’t paying attention in geography: I always thought Death Valley was the lowest place on earth. Back when I was in school, I was always hopping around and making a nuisance out of myself. Oh, this post is amazing! I’m learning so much from you! This is amazing! I love the pictures, etc. This is such an interesting post and I love the pictures! Is that when Jesus was around?